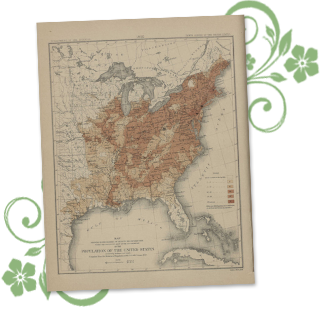 U.S. census records of 1850 capture a significantly changing American population. From the 1840s to 1860s, America experienced the largest migration. Over a quarter million people moved Westward on the Oregon Trail in search of gold, fur, and other west coast riches. While settlers moved West in search of gold and riches, a significant influx of Irish immigrants began in 1845 driven by The Irish Potato Famine. Did your ancestors moved westward or immigrate to the U.S. to escape famine? Search the 1850 Census records to find out the answers to these and more! The 7th U.S. Census significantly changed how information was collected. The 1850 Census was the first to include a separate questionnaire for slaves. In addition, every free person was included individually whereas earlier census records only listed the head of the household. 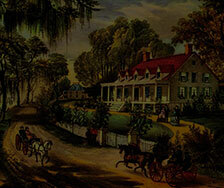 Newly added states of Florida, Iowa, Wisconsin, Texas, and California were also included in the 1850 Census records. 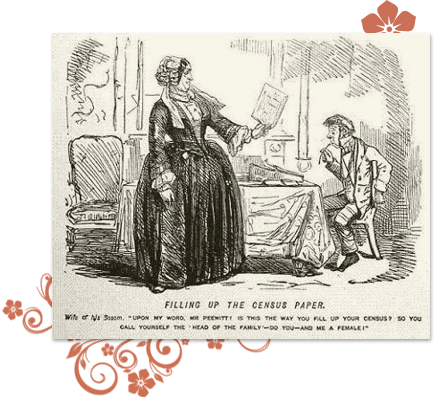 1850 census enumerators also collected "social statistics" data including information on taxes, schools, crime, wages, value of the estate, etc. and data on mortality. Native Indians who lived on reservations or unsettled land were not included in the census. To find your Native American ancestors living during this decade, you can search our Native American newspaper archives which also includes tribal newspapers. The decade between 1840-1850 saw dramatic changes in population migration and immigration. In May of 1840, the first wagon train to California departed from Missouri on the Oregon Trail. The 1842 Webster-Ashburton Treaty formally designates the border separating the U.S. and Canada. The Irish Potato Famine of 1845 leads to an influx of immigrants to the U.S. In 1948 Gold was discovered in California & led to a sudden migration of 80,000 settlers to California. In 1849 the Treaty of Guadalupe Hidalgo ended the Mexican-American War, and the U.S. received 500,000 square miles of territory. Search the 1850 Census to learn where your ancestors lived and worked. Then use our newspaper archives to discover their trials and tribulations. With GenealogyBank you find more than just a name and date. You find the stories of your ancestors. Your family history is waiting to be discovered.